Three veritical adjustments from 17" - 19"
Three vertical adjustmenst from 16.25" - 18.25"
B&W Companion 5th wheel hitches easily convert to a level bed. 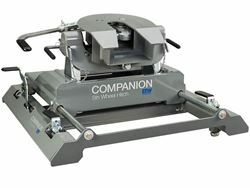 The B&W Companion hitch was designed to minimize sloppiness in 5th wheel hitches and the result is a quiet, cushioned ride with no jerking. 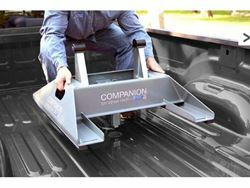 B&W Companion Slider hitches give short bed truck owners 12" of slide so you can have the extra room you need to maneuver your fifth wheel. 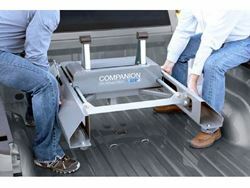 The Companion OEM hitch works with Ford, GM, and Ram prep packages. B&W Companion hitches use a single point of attachment through a four inch hole in the bed of your truck, connecting to the Turnoverball mounting system. 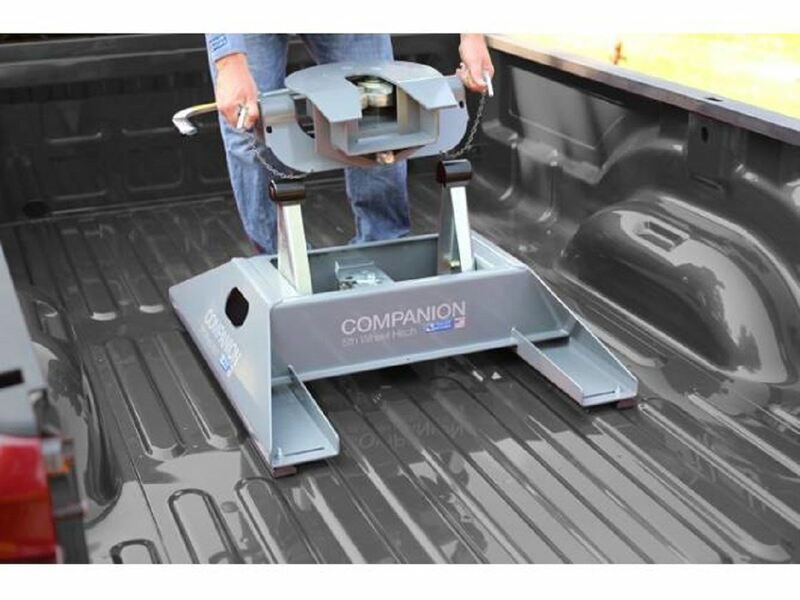 The OEM hitches fit 4 pucks in the truck bed. 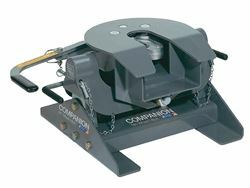 The hitch has a fully articulating head that allows front to back and side to side pivoting. 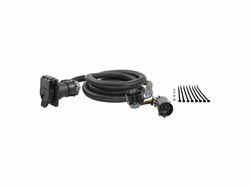 The cam action latching handle makes for an easy release even when parked on non-level sites. The hitches wide stance was engineered for improved stability and strength. 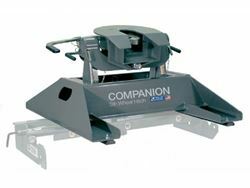 The 1" thick, wrap-around jaws fit the kingpin perfectly, eliminating sloppy starts and stops and the polyurethane bushings provide a quiet, rattle free towing experience.